Joni Quilts: The middle is together! 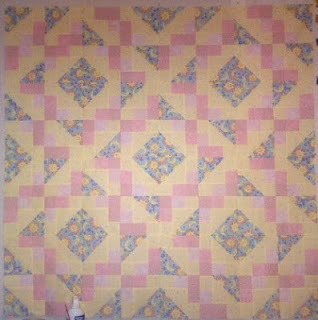 Got all the blocks sewn together. Looks pretty cool! Now I need to work on the borders. Or not? The original plan was to put a small yellow border and then a larger blue one, but..... It's already 48 inches square. Perhaps just blue binding would be enough. What do you think? I like borders, bit a blue binding would be fine alone.